Since the early 1970`s, scientists have postulated that a lifetime of exposure to toxic chemicals, poor diet, and harsh pharmaceutical medications leads to increased free radicals, decreased cellular energy production and chronic disease. Excess accumulation of free radicals causes changes in mitochondrial structure and function that we now know leads to a variety of medical conditions (fibromyalgia, chronic fatigue syndrome (CFS), diabetes, Alzheimer’s disease, coronary artery disease, and Parkinson’s disease). This progression is frequently referred to as the “Mitochondrial Theory of Ageing and Disease”. Scientific support for the use of micronutrient-based mitochondrial support as a means of protecting cells from progressive oxidative damage is accumulating. Such therapies are intended to scavenge for toxic free radicals and aid critical enzyme reactions in performing their important functions. Studies have shown that patients suffering with chronic fatigue caused by mitochondrial dysfunction have improved with supplementation of mitochondrial nutrients and antioxidants, including acetyl-L carnitine, alpha-lipoic acid, and N-acetyl cysteine (NAC). This triad has been shown to reduce damage to mitochondrial membranes, restore mitochondrial energy production, protect cellular structures from oxidative damage, and decrease fatigue. Acetyl-L-carnitine is an amino acid, which plays a critical role in energy production by transporting long-chain fatty acids into the mitochondria so they can be metabolized to produce energy. This key amino acid also transports toxic compounds out of this cellular organelle to prevent their accumulation. ALCAR is commonly supplemented in combination with other vitamins and cofactors. Research in aged rats has found that supplementation with high doses of acetyl-L-carnitine and alpha-lipoic acid (an antioxidant) improved oxidative stress levels, restored mitochondrial functioning, lowered neuron RNA oxidation, and increased rat ambulatory activity and cognition (as assayed with the Skinner box and Morris water maze). Alpha-lipoic acid acts as an enzymatic “cofactor” and is essential for healthy mitochondrial function. First, alpha-lipoic acid helps support enzymes that are vital for transforming foods in the form of sugars, proteins, and fats into usable cellular energy (ATP). Second, as a potent antioxidant, ALA scavenges free radicals and peroxides that cause widespread oxidative stress and cellular damage. Finally, alpha-lipoic acid blocks inflammatory signals and boosts levels of pro-oxidant destroying molecules. Studies have shown that ALA supplementation improves energy expenditure in aged mice. Researchers examined aging mice that were broken into two groups: one supplemented with alpha-lipoic acid and the other served as a control group for a period of 30 days. Both groups were tested for metabolic functions relating to glucose metabolism, energy production and antioxidant status. Results showed that the alpha-lipoic acid supplemented group experienced mitochondrial biogenesis, a process that replaces damaged and aging mitochondria. N-acetyl cysteine (NAC) replenishes intracellular levels of the natural antioxidant glutathione (GSH) that is often deficient in ageing individuals and those with chronic illness. This critically important precursor to glutathione synthesis also helps restore cells’ ability to fight free radical damage and protect mitochondrial proteins. NAC has also been in clinical use for the treatment of acetaminophen (Tylenol©) overdose and liver failure for many years. Mitochondrial enzymatic reactions require a wide range of vitamins and mineral cofactors to function. Therefore, when attempting to support mitochondrial health and energy production, all micronutrients required for increased mitochondrial metabolism may need to be supplemented in a broad-based fashion to achieve optimal results. In addition to taking a high-potency multivitamin, the addition of therapeutic dosages of this key triad - NAC, alpha lipoic acid and acetyl-L-carnitine - have solid research supporting their use as part of an effective mitochondrial support supplement program. On May 25, 2016, a sea of empty shoes lined the pavement in front of the Health and Human Services Headquarters in Washington D.C. to highlight the plight of ME/CFS sufferers during the “Millions Missing” international day of action. Sponsored by the patient advocate group, MEAction, the Millions Missing global day of protest raised awareness of the millions of patients around the world who are considered to be “missing” from their careers, schools, families, and social lives due to the debilitating effects of Myalgic Encephalomyelitis (ME) and Chronic Fatigue Syndrome (CFS). ME/CFS is an incapacitating disease that is characterized by extreme fatigue and decreased mental alertness that does not improve with rest and is not explained by an underlying medical condition. The impact on a patients’ quality of life can be so severe as to render them unable to care for themselves or even to become bedbound. The cost of ME/CFS to society in the United States has been estimated at over $20 billion per year in lost wages and medical care. For decades, physicians and scientists have dismissed what’s now typically called ME/CFS or by its more recent name, Systemic Exertion Intolerance Disease (SEID), as trivial or psychosomatic, a fact not helped by its unknown cause and broad set of associated symptoms. Meanwhile, diagnostic tests and effective treatments have remained elusive. The Millions Missing protest aimed at shining a spotlight on the need for better research funding, better physician training, and government oversight for ME/CFS. In late May, protestors around the globe met with their representatives to demand action. The Health and Human Services (HHS) office in Washington D.C. agreed to set up a meeting between MEAction representatives and Karen DeSalvo, the Acting Assistant Secretary of Health. In San Francisco, advocates met with Department of HHS officials to request a meeting with Secretary Burwell. HHS representatives in Boston and San Francisco also told ME advocates that they would help arrange meetings with other HHS representatives. Atlanta protestors scheduled a meeting to speak with officials at the Centers for Disease Control (CDC). Also in Atlanta, Ryan Prior, director and producer of the recently released ME/CFS documentary, Forgotten Plague, and Elizabeth Burlingame (organizer of the Atlanta Millions Missing protest) met with Dr. McQuiston, the Deputy Director of the Division of High Consequence Pathogens at the CDC, which oversees six branches, including the Chronic Viral Disease branch, headed by Beth Unger. Prior and Burlingame discussed the controversial recommendation for graded exercise in ME/CFS; McQuiston promised to do a screening of The Forgotten Plague for the entire Division of High Consequence Pathogens. 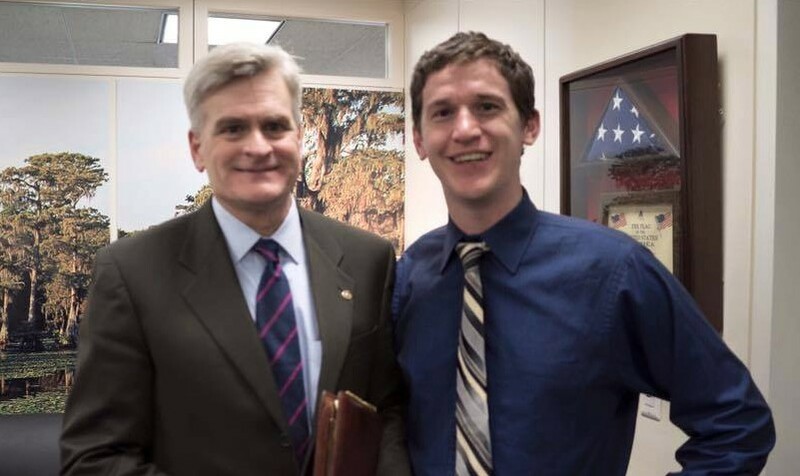 Ryan Prior also met with Louisiana Senator, Bill Cassidy, and Georgia Representative, Barry Loudermilk, resulting in a promise of support from their offices. Internationally, protestors in Canada, London, and Australia met with Department of Health and other government officials to raise awareness for ME/CFS research and funding. Over the coming weeks, MEAction will be coordinating with protesters to follow up on these and the other productive meetings, as well as to arrange new Congressional meetings for additional MEAction members. The International Association for Chronic Fatigue Syndrome/Myalgic Encephalomyelitis’s (IACFS/ME) is holding its 12th International Clinical and Research conference on October 27-30, 2016 in Fort Lauderdale, Florida. This conference will consist of workshops, panel discussions, and presentations for clinicians, patients, and caregivers on the diagnosis and treatment of CFS/ME/FM illnesses. Dr. Nancy Klimas and the Institute for Neuro Immune Medicine will also be hosting a special pre-conference day of talks on Wednesday, October 26. The last IACFS/ME conference, held in San Francisco in 2014, was extremely well attended hosting several hundred patients, researchers, activists, and clinicians. There has also been an explosion of new research findings since the last conference took place. IACFS conferences are attended by hundreds of scientists, physicians, other professionals, and patients interested in CFS/ME, fibromyalgia, and co-morbid illnesses (e.g. orthostatic intolerance, insomnia, irritable bowel syndrome, hypothyrodisim) as well as other medical conditions/circumstances (e.g. cancer, multiple sclerosis, rheumatologic diseases, aging, overwork) associated with acute or chronic fatigue. Attendees come from all over the United States and over 25 countries. Founded in 1990, the IACFS/ME is the largest international organization of scientists, clinicians and other professionals dedicated to the study, care and treatment of individuals with CFS/ME, fibromyalgia, and co-morbid medical conditions. Their mission is to promote, stimulate and coordinate the exchange of ideas related to these often disabling chronic medical conditions. What is the Institute for Neuro Immune Medicine at Nova Southeastern University? The Institute for Neuro Immune Medicine at Nova Southeastern University strives to advance knowledge and care for people with complex neuro-inflammatory illnesses through the integration of research, clinical care and education. Current research focus at the Institute for Neuro Immune Medicine (INIM) includes Myalgic Encephalomyelitis/Chronic Fatigue Syndrome (ME/CFS) and Gulf War Illness (GWI). Nancy Klimas, MD, has more than 20 years of professional experience and has achieved international recognition for her research and clinical efforts in multi-symptom disorders, Myalgic Encephalomyelitis/Chronic Fatigue Syndrome (ME/CFS), Gulf War Illness (GWI), Fibromyalgia, and other Neuro Immune Disorders. She is immediate past president of the International Association for CFS and ME (IACFS/ME), a professional organization of clinicians and investigators, and is also a member of the VA Research Advisory Committee for GWI, the NIH P2P CFS Committee, and the Institute of Medicine ME/CFS Review Panel. Millions Missing is a global day of action for equality for Myalgic Encephalomyelitis (ME) and Chronic Fatigue Syndrome (CFS). ME/CFS patients, advocates, caregivers, and allies will join together to protest of the lack of government funding for research, clinical trials and medical/public education, leaving ME patients without relief. On May 25th, take a pair of shoes (or several) and put them on your doorstep, lawn, or driveway. Take a photo and post it on social media #MillionsMissing. Anyone can participate, whether you are a patient or an ally expressing solidarity. You might pair the shoes with a sign that expresses what the empty shoes mean to you. Some examples: “I cannot walk to the end of my driveway” or “My brother should be here.” Imagine if thousands of homes around the world put out their shoes in solidarity with the protestors in the streets. During the month of May change your profile picture with the #MillionsMissing Profile Filter Smartphone App or the #MissingMillions Twibbon. Promote the hashtag and shoe installation on your social media accounts. Email patients, friends, families, allies who are in the vicinity of the satellite protests. Offer this Forgotten Plague Congressional Pack to send to your congressmen/women and state representatives before the protest. 6) Sign the petition demanding NIH adequately fund ME/CFS. Mary Gelpi has added her voice to the call to make funding for ME research commensurate with disease burden. As of this posting, she has 30,000 signatures. With your help, we can ensure that HHS knows that thousands of people across the U.S. and beyond understand that it’s time for better funding for ME/CFS. Sign today, and promote on social media. Ask friends and family to sign as well. Just a few minutes of your time could make a huge difference! On May 25th, 2016 MEAction is sponsoring a community-organized protest at the Department of Health and Human Services (HHS) in Washington, DC. ME patients, advocates, caregivers, and allies will join together to protest the lack of government funding for research, clinical trials and medical/public education, leaving ME patients without relief. MillionsMissing is dedicated to the millions of Myalgic Encephalomyelitis (ME) and Chronic Fatigue Syndrome (CFS) patients missing from their careers, schools, social lives and families due to the debilitating symptoms of the disease. At the same time, millions of dollars are missing from research and clinical education funding that ME should be receiving. And millions of doctors are missing out on proper training to diagnose and help patients manage this illness. For those in the San Francisco Bay Area, there will be a peaceful protest at the San Francisco regional office of the Department of Health and Human Services (HHS) on May 25, 2016 from 12 to 2 pm, as a satellite of the larger MEAction Global Day of Protest. The goal is to bring awareness to the URGENT need for increased Federal funding for clinical research, medical education, and effective treatment for people living with Myalgic Encephalomyelitis/Chronic Fatigue Syndrome. The demonstration will start at 12 noon on Wednesday, May 25. Please gather at 11:45 in front of the Federal Building, 90 Seventh Street, near Mission Street. There is paid parking nearby, and the site is easily accessible by MUNI and a 5-10-minute walk from Civic Center BART station. What occurs when mitochondria become stressed? In the largest study to date looking at the prevalence of Chronic Fatigue Syndrome (CFS) in adolescents, researchers found that approximately 1 in 50 children aged 16 years have Chronic Fatigue Syndrome lasting at least 6 months. Chronic Fatigue Syndrome, also known as myalgic encephalomyelitis (ME), is a condition characterized by severe fatigue that shows no improvement with bed rest, and which may be exacerbated by physical or mental exertion. According to the Centers for Disease Control and Prevention (CDC), more than 1 million people in the US have CFS. The results, published in the journal of Pediatrics, analyzed the data of 5,756 children who were part of the Avon Longitudinal Study of Parents and Children (ALSPAC) birth cohort - also known as "Children of the 90s." The study enrolled more than 14,000 expectant mothers in 1991-1992 and continues to track the health of mothers, their partners and their children. Children with CFS missed around half a day of school each week as compared to children without CFS. Children with CFS were more likely to come from families with greater adversity, defined by the researchers as families with poor housing, financial problems and mothers with lack of practical and/or emotional support. The study brings to light numerous cases of CFS that may have been overlooked in adolescents. Medical professionals and CFS advocates are hopeful these results will bring about improved diagnosis and treatment for this population. "We are encouraged by the results of this study as, at last, our children, their families and those fighting for a diagnosis have the evidence they need. Evidence confirming the condition as being not only really common but, more significantly, evidence reflecting the high level of suffering with which they are forced to live," Mary-Jane Willows, chief executive of Association of Young People with ME. Various approaches have been studied in treating Chronic Fatigue Syndrome (CFS), including the use of stimulant drugs and micronutrients. However, they had not been previously studied in combination. In the July 2015 issue of the International Journal of Clinical and Experimental Medicine (IJCEM), Dr. Jon Kaiser published a proof of concept trial which showed that a low dose stimulant combined with a proprietary formula of mitochondrial support nutrients was able to significantly improve fatigue and concentration disturbance symptoms in greater than 50% of CFS patients. Dr. Kaiser is a CFS clinician and researcher and also the Chief Medical Officer of K-PAX Pharmaceuticals. Methylphenidate (commonly known as Ritalin®) was the stimulant drug used as part of the fixed-dose combination in this trial. A previous trial using low-dose methylphenidate alone showed somewhat promising results. Kaiser believed that by combining the methylphenidate with mitochondrial support nutrients, improved safety and efficacy could be achieved. Since there is a growing body of evidence that people with ME/CFS have some degree of mitochondrial dysfunction, Dr. Kaiser initially provided this treatment to patients in his clinic suffering from CFS. The treatment produced exciting results. In some cases, patients who had been disabled by their CFS symptoms for many years experienced a vast improvement, allowing them to return to work within a few months of starting the treatment. These positive clinical findings set the stage for a 12-week proof of concept trial utilizing this innovative combination treatment. Fifteen patients diagnosed with CFS by the 1994 Fukuda criteria were recruited and treated with KPAX002 (methylphenidate and mitochondrial support nutrients). Fatigue and concentration disturbance symptoms were measured at baseline, 4 weeks, and 12 weeks using two clinically validated tools: the Checklist Individual Strength (CIS) and Visual Analog Scale (VAS). Treatment with KPAX002 was well tolerated and significantly improved fatigue and concentration disturbance symptoms in greater than 50% of patients with CFS. Results were published in the July 2015 issue of International Journal of Clinical and Experimental Medicine. Further investigations are planned. Do Your Mitochondria Need a Tune-Up? Dr. Sarah Myhill is the author of several publications ("Chronic Fatigue Syndrome and Mitochondrial Dysfunction”, “Mitochondrial dysfunction and the pathophysiology of Myalgic Encephalomyelitis/Chronic Fatigue Syndrome (ME/CFS)”, and "Targeting mitochondrial dysfunction in the treatment of Myalgic Encephalomyelitis/Chronic Fatigue Syndrome (ME/CFS) – a clinical audit") that explore Chronic Fatigue Syndrome (CFS) as a symptom of mitochondrial failure. Based on her extensive research and clinical experience with over 5,000 patients suffering from Chronic Fatigue Syndrome, Dr. Myhill believes the central mechanism in CFS is mitochondrial dysfunction. To help illustrate her point, she often uses the analogy that the body functions like an automobile. Similar to the car engine that burns fuel for energy, the mitochondria are essential for creating energy from fuel. They are the little engines that exist in every cell in the body, and in every cell in every living organism. Without them, none of our bodily systems or processes would function. We could not be alive without them. “What mitochondria do is they take fuel from the bloodstream derived from carbohydrates, fats, and proteins and burn them in the presence of oxygen to produce ATP. Think of ATP as a molecule with which you can do any function in the body,” describes Myhill. Like the car’s accelerator pedal, the endocrine system allows the body to regulate and adjust energy demand by way of hormones such as adrenaline, cortisol, and DHEA. The thyroid gland determines how fast the mitochondria go when generating energy throughout the body. Just like all cars need regular service to run smoothly, Myhill recommends the body needs regular rest, when metabolic processes shut down, to allow healing and repair to take place. And as important as using the proper fuel for your vehicle, Myhill also prescribes healthy diet and micronutrients for the upkeep of you mitochondria.